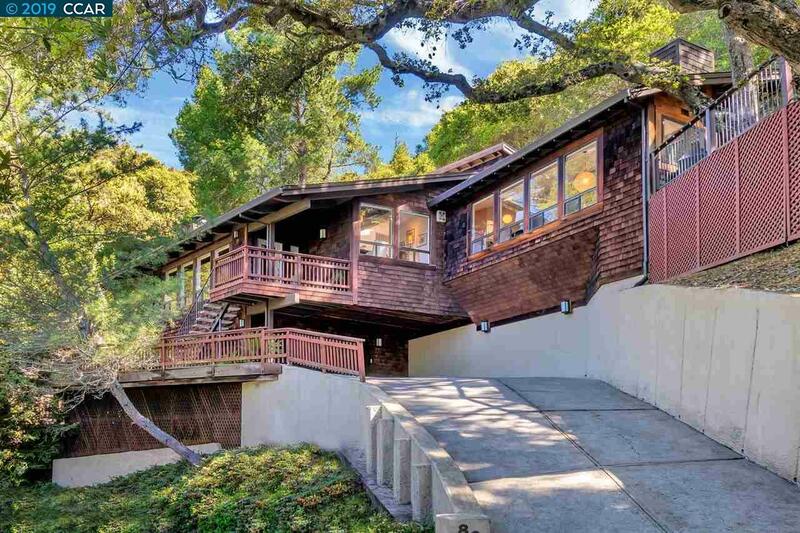 Stunning contemporary in Orinda Country Club surrounded by majestic oaks. Open floor plan with vaulted ceilings, hardwood floors, and walls of glass. Updated kitchen and baths. Private outdoor spaces with Trex decks. Top rated schools, and close to Freeway, BART and Downtown.